Mr. Locklear returned to Robeson County in 2007. His tireless commitment to the community is evident by the challenges he submits to the tribe, as well as, his editorials to the local publication, The Robesonian. Just search his name in their site. You will find that through his writings, he is energized and dedicated. It is always good to see a candidate who is not afraid of a debate. 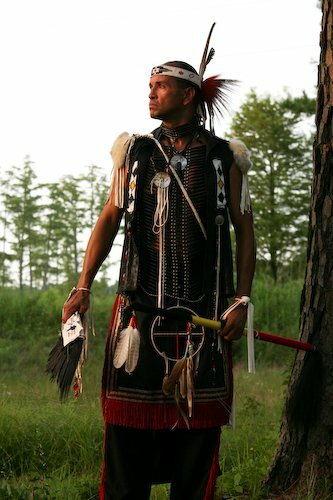 I believe with a strong presence like Eric, the existing weaknesses that you currently find with the Lumbee Tribe will cease to exist. Eric is a leader and people just naturally follow his ideas and beliefs. If you want to see a Tribal Councilman take office who will listen to the needs of the people and stand strong against the things he believes are not in your best interests, Eric R. Locklear, is your man. Elections are only a day away and you deserve a say in who runs the Lumbee Tribe. On Tuesday, November 15, 2011, I strongly encourage you to vote for Eric R. Locklear. I, for one, cannot think of anyone more suited to the job. Hé, je me demandais si quelqu'un pouvait me dire quelles universités sont les meilleurs (n'importe où) pour l'écriture créative? Je ne suis pas intéressé par les universités de l'Ontario parce qu'ils ne proposent le type de cours que je veux. Je me demandais aussi si peut-être il ya des écoles spécifiquement pour l'écriture créative? S'il vous plaît, aidez-moi, je dois appliquer en décembre, et je n'ai aucune idée où je vais, je sais juste que je veux écrire, parce que l'écriture est ma vie, et je ne peux pas me voir faire autre chose. Merci ..
Aircell will be hosted by the satellite uplink is set in the United States or other parts of the local American continent to provide services. In Ka-Band satellites for application prior to international flights want to provide network access to intercontinental airlines called Ku-Band using the existing network, Chari said, Ka-Band will be more economical.